Northbound UP local train bound for Sheboygan. 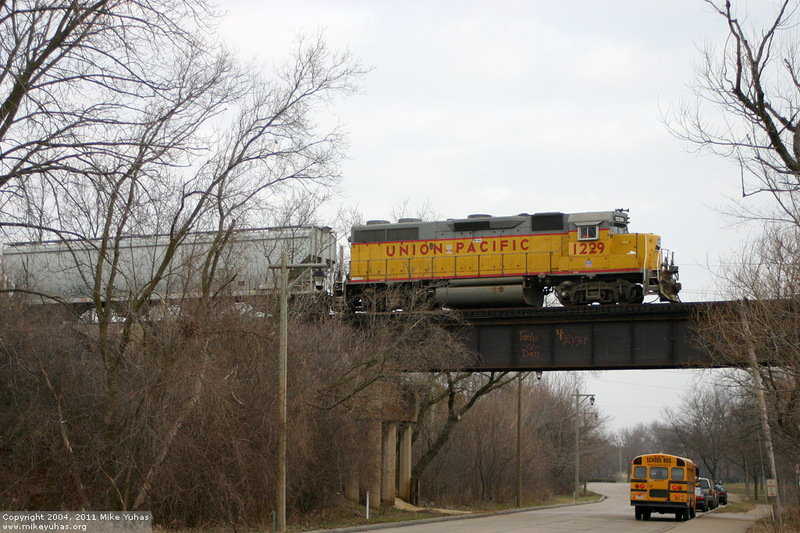 This particular locomotive, GP39-2 1229 (a former D&H unit built in 1976) seems to be a Sheboygan regular. In any event, the train's five cars are easy work. Seen from Kletsch Park.